NEW YORK, Jan. 13, 2014 /PRNewswire/ – Going out to the movies once was, and for many still can be, an exciting night out. However, a new Harris Poll finds that while roughly two-thirds (68%) of U.S. adults went to the movies at least once in 2013, just about the same percent (66%) say they’re going to the movies less often now than a few years ago. Americans report going to an average of five movies in 2013, but likelihood to have gone to at least one goes down as age goes up (83% Echo Boomers, 73% Gen Xers, 59% Baby Boomers, 44% Matures). When asked whether they prefer watching movies at home or in a theater, or no preference, the majority say they prefer watching at home (57% total), while only two in ten (21%) prefer watching in a theater. When asked to choose the main factors which drive them to see a movie in a theater, Americans’ top selections include featuring a favorite actor or actress (32% among total Americans, 54% among those who prefer watching movies in a theater). A companion Harris Poll released today unveils Golden Globe nominee Tom Hanks as America’s favorite movie star, while fellow nominee and Oscar winner Jennifer Lawrence debuts on the list in the number three spot. Fan favorite Denzel Washington ranks second, dropping from his top spot on last year’s list. When asked to select the one or two best things about going to the movies, nearly six in ten Americans selected the sound and picture quality of a movie on the big screen (58%), while nearly half (45%) cited the experience being a short escape from everyday life. Of course, if one counts high prices or rude people among the stresses of everyday life, then a night at the movies may not be quite the escape it’s cracked up to be: concession prices (62%) and rude moviegoers (56%) are the top selections - by a wide margin - as the worst things about going to the movies. 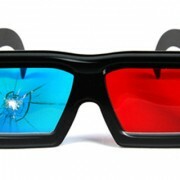 Cost has some additional implications on the movie going experience: seven in ten Americans (69%) believe 3D movies are just an excuse to charge more for tickets and nearly six in ten (58%) say they have snuck food into the movies. Echo boomers are most likely to have snuck in food, while matures are least likely to have done so (69% Echo Boomers, 57% Gen Xers, 57% Baby Boomers, 36% Matures). Additionally, women (61%) are more likely than men (54%) to have done so. Good word of mouth tied with favorite performer as a top reason people go to see a movie in the theater (32% among total Americans, 48% among those who prefer watching movies in a theater), followed by the movie being a sequel to or part of series that they love (30% and 45%, respectively), special effects (29% and 47%, respectively) and the overall theater experience (29% among total Americans, while at 59% this was the top driver among those who prefer to watch movies in a theater). As for who they go to the movies with, movie night and date night appear to have a great deal of common ground, as spouse/significant other (55%) is the most-cited theatergoing company, followed by friends (32%) and children (21% among total, 51% among those with children in their household). Women are more likely than men to go to the movies with friends (35% women, 29% men), children (25% women, 17% men) and siblings (12% women, 9% men). Men, meanwhile, are more likely than women to go to the movies by themselves (19% men, 13% women).